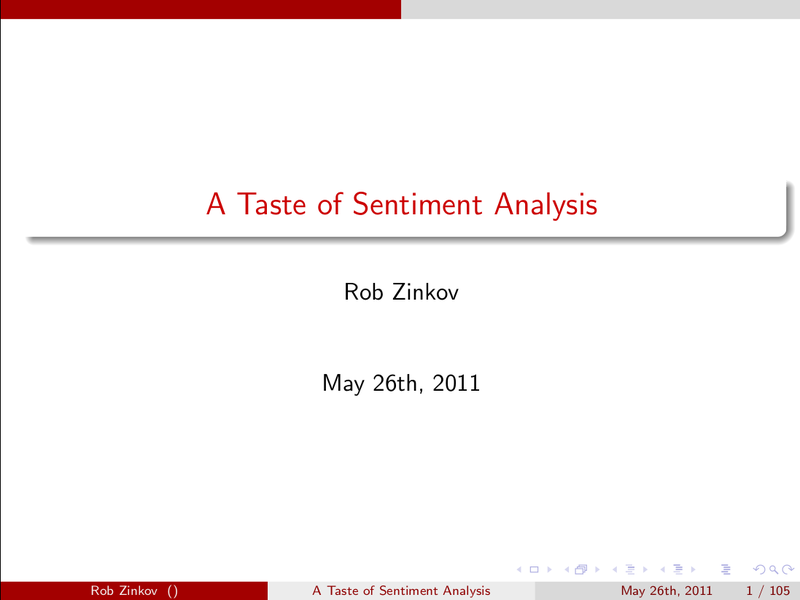 Last month, in Vienna I gave a talk about sentiment analysis. This was really fun and I hope leads to some future collaboration. I wish I had known about Dependency-tree Sentiment Classification before this talk. I guess this the trouble with talking about an active field.